On the path towards fulfilment, there comes a time when our focus shifts from personal healing to the creative task of finding and deepening our offering back to life. We call this transition ‘vision quest time’. An ancient ceremony, practised in many different cultures around the world, the vision quest opens the doorway to profound insights about ourselves and our place in the world. 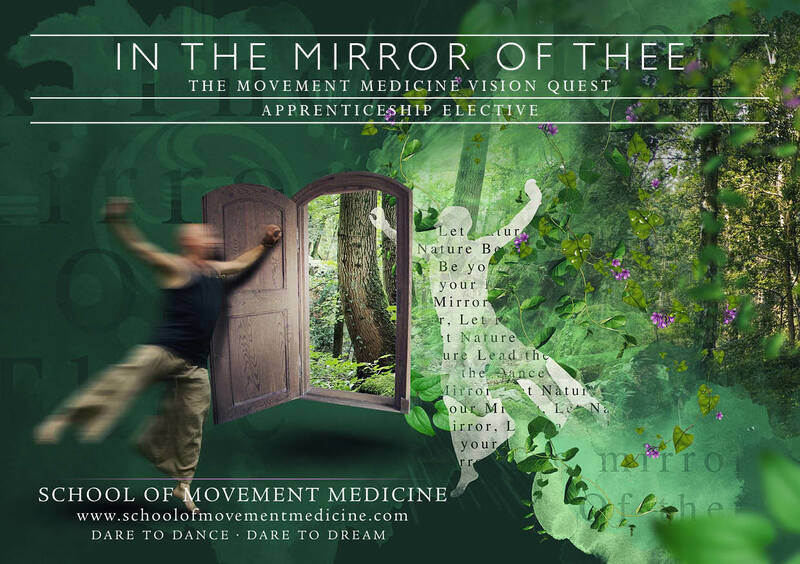 Following in this sacred tradition, In the Mirror of Thee will transport you from the complexity and pressures of your daily life to the raw simplicity of the wilderness, where you will be able to commune with and see yourself reflected in the mirror of the natural world. This process will support you to take stock of your life, nourishing the seeds you have already planted and enabling you to commit to the full manifestation of your being and your dreams in the future. Prior to this intensive retreat, you will undertake a period of deep preparation at home. This process will include a Day Walk ceremony in which you will have the opportunity to contemplate your upcoming vision quest and check that your equipment is in good order. The retreat itself will begin with a day and a half of further preparation with the group to support us to make the most of our time in the wild. You will then spend 48 hours alone in the beautiful landscape of Dartmoor National Park, supported by a strong circle of fellow questers and nature all around you. This is a time to ‘cry for a new vision’, or to strengthen an existing one, as you enter into dialogue with the web of life that surrounds you. The return from the quest is an important time of reintegration. During this period at the end of the retreat, you will share your story with your fellow travellers and receive a ceremonial name from Ya’Acov that reflects your experience out in nature. There will also be time given for you to ground yourself and contemplate how to bring what you have learned into the rest of your life.